I found out this morning that you'd died, Teresa. I'm flooded with memories of you. The crazy fun activities you did with my students, the way you always ran just a bit late and were always worth the wait, your laugh, the tales you told of your beloved dog, and your loving friendship. I remember one day you took a moment to spontaneously teach me how to draw trees. This was years before I began my own artistic adventure and I always, always think of you when I draw or paint a tree. I can't think of the way limbs emerge from the trunk without you crossing my mind. I know this will always be the case. 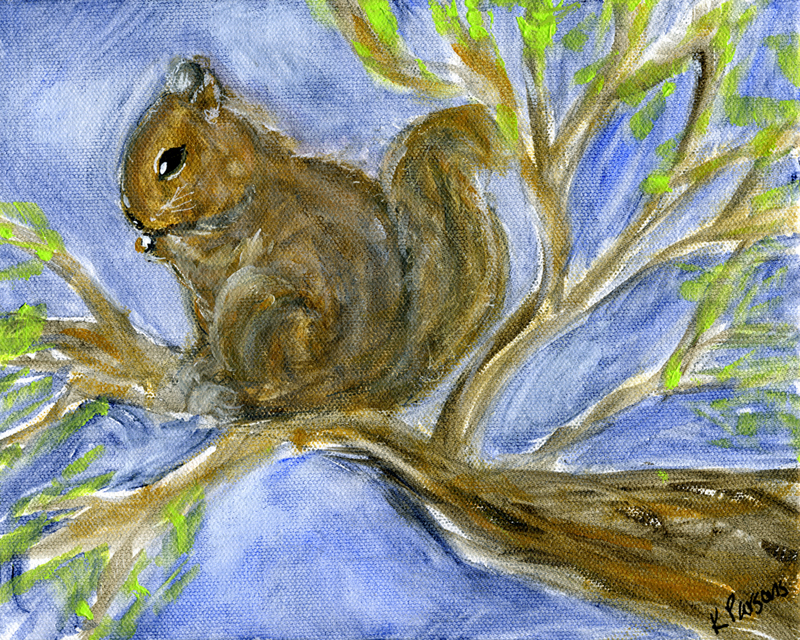 I think you were so keenly aware of trees because of your beautiful love of squirrels. I think you saw trees through their eyes. When you left Zilker I was asked to do a short sendoff in front of the entire staff. For some reason you were late (go figure!) and I gave the sendoff in your absence. It went perfectly! And then you showed up and I was asked to do it again. I cried and then sobbed my way through a sendoff. I've got the same feeling tonight. If I drank beer I'd raise a glass in your honor. 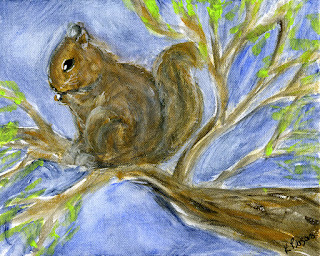 But since I don't, I painted a squirrel in a tree in your honor. If there's a heaven, it's filled with frolicking squirrels. I love you. Thank you for being my friend. As I write with tears in my eyes, I just want to say what a lovely, lovely tribute, Kali. Teresa sounds like she was one extraordinary woman! I'm incredibly fortunate that life allowed me to cross paths with her and become her friend. Yes, she was extraordinary.